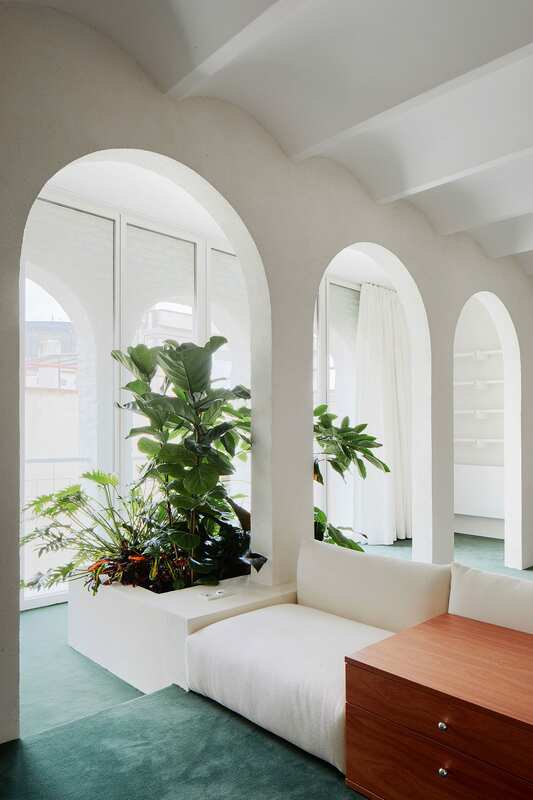 P-M-A-A Architects have transformed a Barcelona penthouse into an oasis replete with perfect arches and plenty of plants. 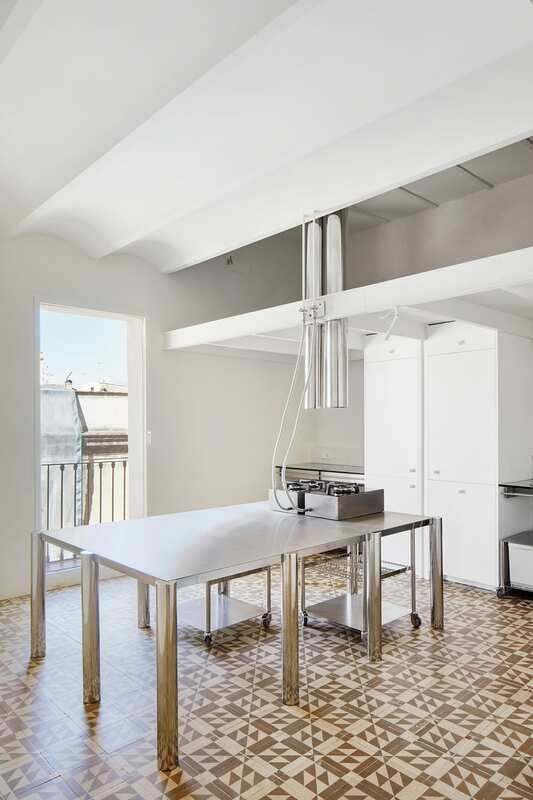 Located at the top of a multi-family building in the Raval neighbourhood, the 99 sqm space is divided by a lightwell, separating a street-facing room from the remainder of the apartment. A series of arcaded facades derived from a structural renovation punctuate the space. 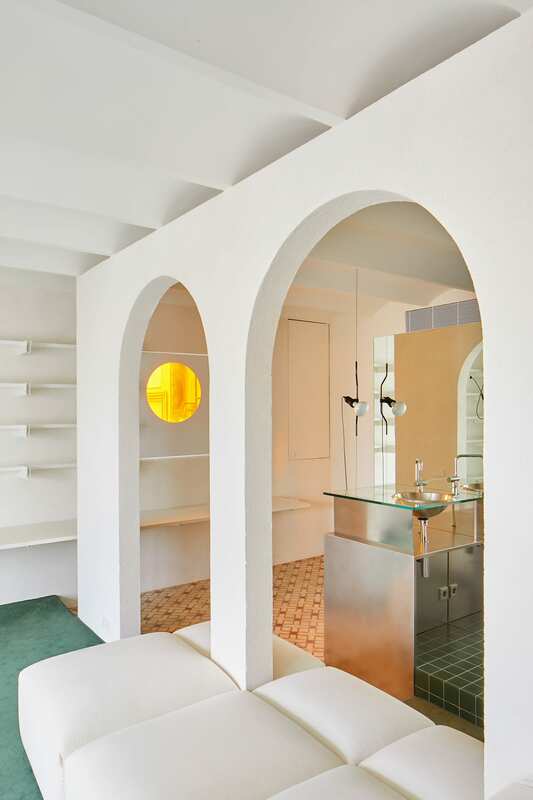 The arches provide the best of both worlds, allowing for open-plan expansiveness while obscuring parts of the living and bedroom spaces from afar. Gazing into the apartment from the street allows a peek at various areas, with nothing left entirely exposed. 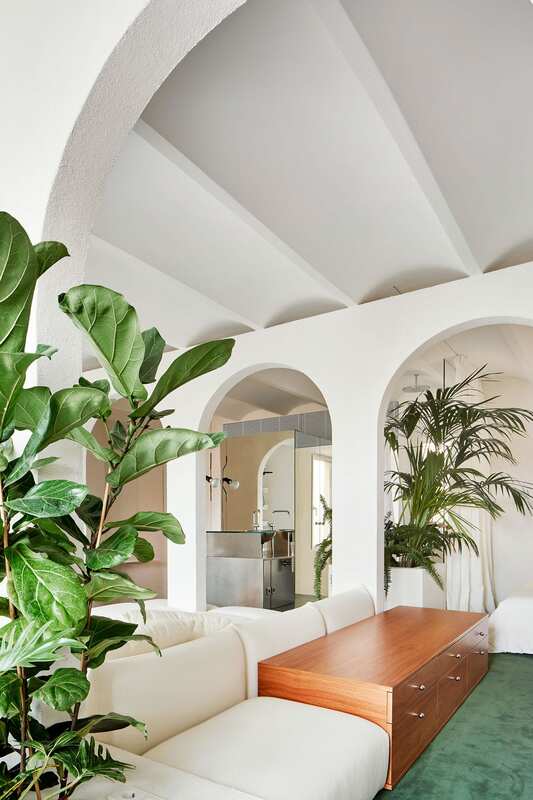 P-M-A-A maintained the Catalan vault ceiling, rendered in white plaster rather than the traditional brick. 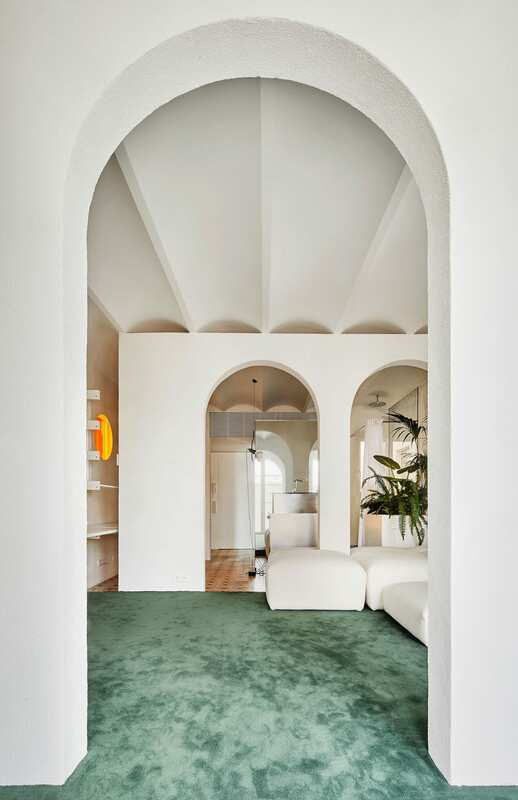 The curves add another dimension of shape and shadow, creating a pattern where the ceiling meets the top of the arches. 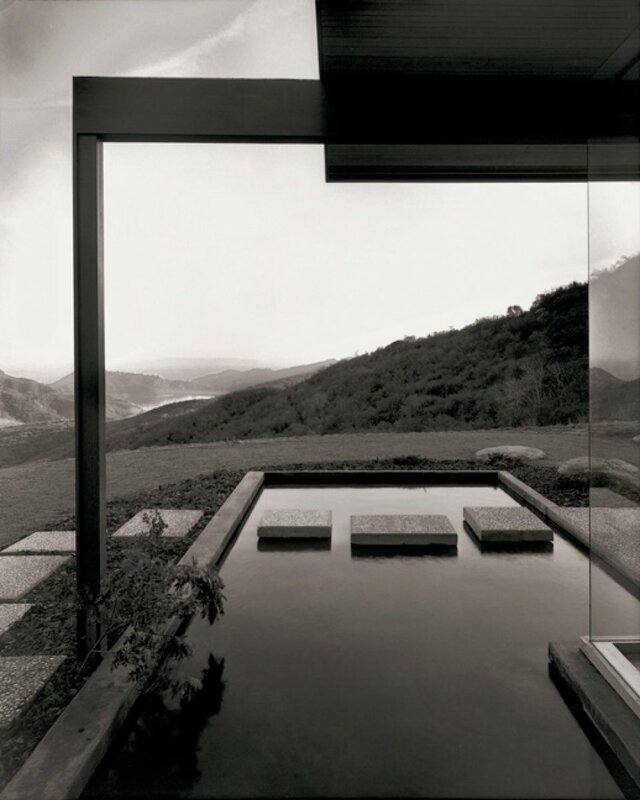 Beyond providing loadbearing structure, the geometric repetition of the arcaded facades results in a conceptually unique space. Functionality exceeds perceived physical limitations, with furnishings wrapping around or casually intersecting with the arched walls. 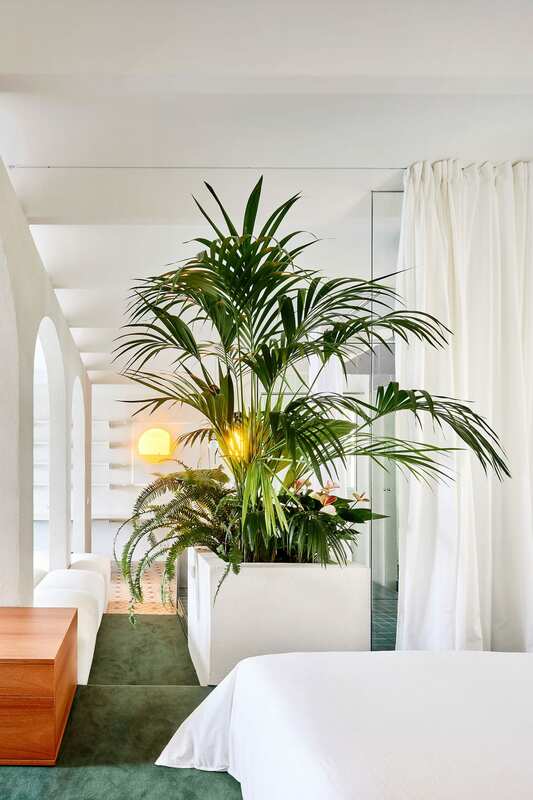 A central white couch is comprised of individual cushions that push together like blocks, custom made to fit perfectly around the dividing walls. 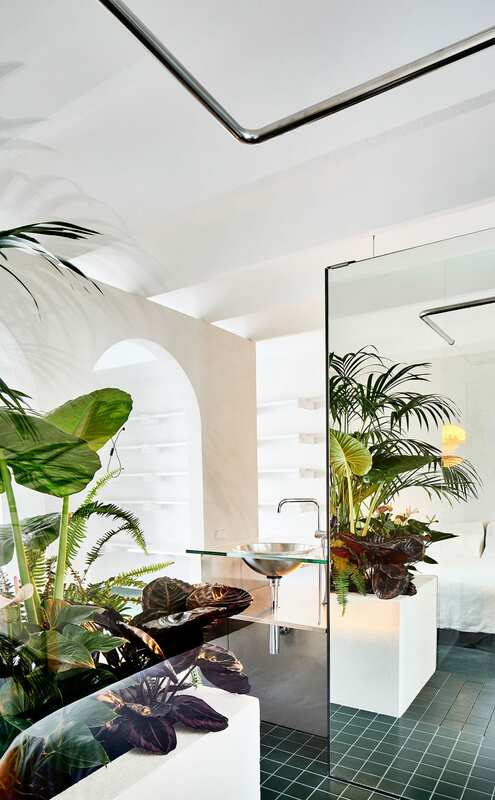 Same goes for the over-sized white plant boxes dotted throughout the penthouse. 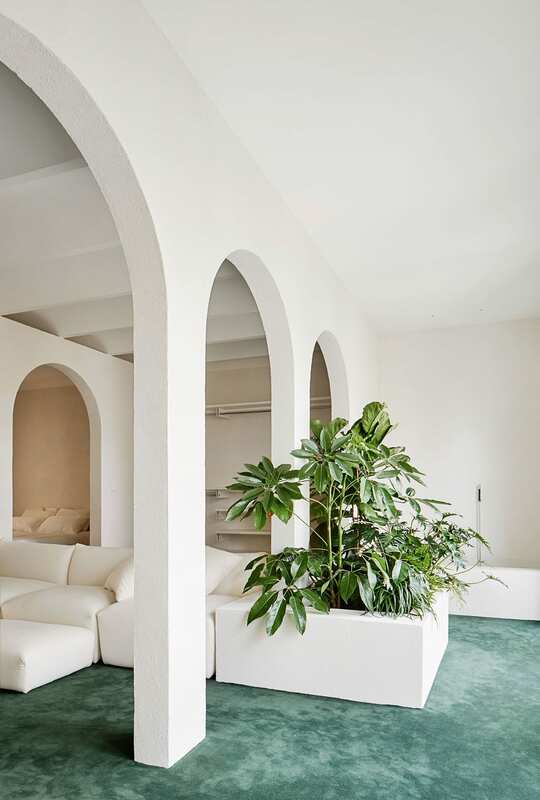 An emerald green fitted carpet unites the bedroom and living room, seamlessly covering a step that denotes the slight split-level between the two areas. 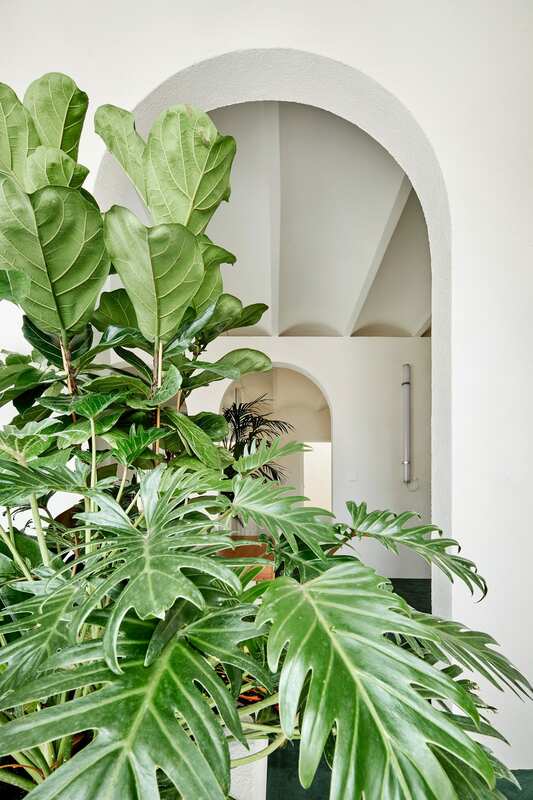 Continuing with the green theme, abundant tropical plants really bring the space to life, adding warmth and enhancing the Mediterranean edge brought about by Spanish tiles in the kitchen and bathroom. The bathroom is semi-open to the rest of the apartment, with no wall separating the sink from the living room. 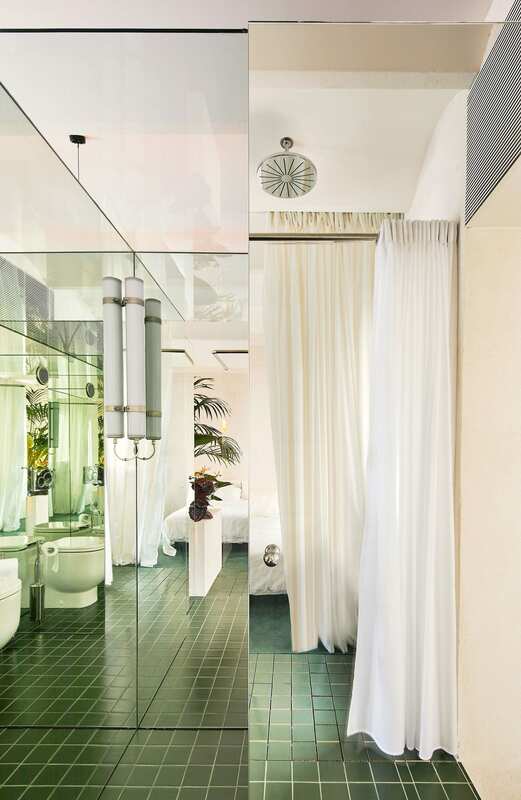 Placing the rather tiny toilet space within a mirrored cubicle flips the spatial perception, with the reflections creating an optical illusion of infinite depth. The street-facing room is the most public part of the penthouse, housing many moveable elements that allow for cooking, eating, and hosting. A wide stainless steel table is the centrepiece of the space.